Knowing where to shop for a tablet in an electronics store can be a little confusing. Is it with the laptops? Is it with the smart phones? It doesn’t really fall into either category, which made people feel a little like they were looking for Waldo when going to shop for one. 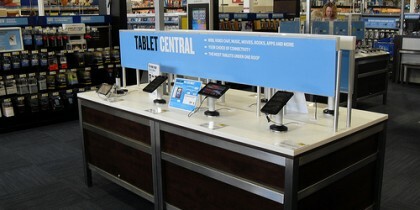 Our very own Best Buy is coming out with “Tablet Central”, a specific area in their stores and online where people can shop and compare the different tablets out there. The tablet market is booming, and Best Buy wants to make sure that consumers have the best experience in shopping for them at their stores. It is thought that the iPad will still have its own area, however it remains to be seen if this will help or hurt sales of the tablet pioneer. It could help by showing that the iPad is in a category of its own, or it could hurt sales by not playing with the new kids. Most technology reviewers feel that the iPad is still ahead in the tablet game, so I’m sure they’ll do fine no matter what.